Since I was a young child, with my Mom I learned and fell in love with being in the kitchen. She had 7 children so time and money was always a factor in meal preparation in our home. She always wanted everything to be organized and ready for her “customers”. From food prepared with love to a great dish prepared with extreme delicacy. I loved to help my Mom and get things organized, around the stove and prepping the ingredients whether it was just a simple dish like potatoes and onions or something more involved. To be there and to feel, smell and at the same time enjoy the flavors that go along with the fire and ingredients make the kitchen the best space to enjoy and share a delicious dish. As a teenager and young adult I had many jobs, helping my family and learning strong work ethic provided me with the tools to want to become a successful man & Father. Working for several different large food distribution companies allowed me to save some money and I opened my first business, A stationary business in Mexico, I sold many fine papers, pens & pencils and also provided a copy service for the local school nearby. 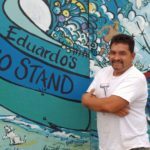 After several years, I decided I wanted to jump into the food & beverage industry and transformed the stationary business in to a coffee shop, I involved my Family and we worked hard to get my Coffee Shop up and running. It has a been a success and still operates today and is run by my family. I was ambitious and wanted more, more for my family and decided to make the leap to the United States, I knew I could have bigger and better opportunities here in the US! After being in the Midwest for a very short time, I landed on a tiny island off the coast of North Carolina, I wasn’t alone though…I had some family here already. It was in the Winter time that I arrived and soon discovered that this was a very seasonal island that mostly catered to Summer time employment, I managed to pick up a construction job, it was hard work, the days were cold and windy but I knew I had to make a go of it, I had grand plans when I moved here and stuck it out. 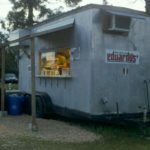 I decided to plant some roots down of my own, In 2010 I was offered an opportunity to operate a food truck here on the island. 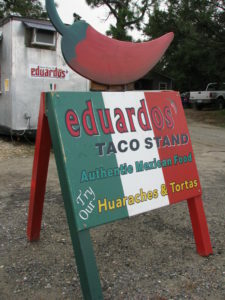 It was in the Winter, a cautious decision was made, I was nervous and not sure what would come of it but I jumped in with both feet and opened Eduardo’s Taco Truck. I decided to announce our food and hang a Mexican flag outside of the truck. Opening at the end of the Summer season was scary I realized my only clientele would be the locals this time of year so I put all my eggs into that “basket”, I did it all! I took the order, I prepped the food, I made it and handed it to the customer, I worked very long hours by myself growing the business. 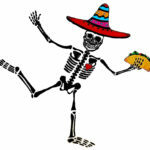 There were some hiccups along the way as in any new venture or business but the locals and tourists absolutely loved the traditional Mexican food I was preparing for them. I took the time to make things from scratch just as my Mom had taught me and with love and passion I knew it could be a success. Today, we employee many seasonal Summer helpers and islanders who live here year round. 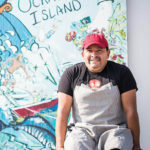 I love to be involved with the community and help where I can, I love offering my Mexican heritage and bringing a slice of Latino flavors and life to this quaint seaside town I now call home.